After completion of a July Internship teaching English in Madrid, I will be flying to Germany on 01 August to completed a full four week intensive study course at the University of Konstanz, Germany in order to enhance my German speaking, listening, writing and reading skills. My overall goal is to complete and pass the placement with an enhanced knowledge of both the German language and culture, therefore being able to graduate University with a higher level being able to continue onto translation and interpretation of the language. I am currently a first year student at the University of Essex studying a BA Modern Languages and English Language degree. 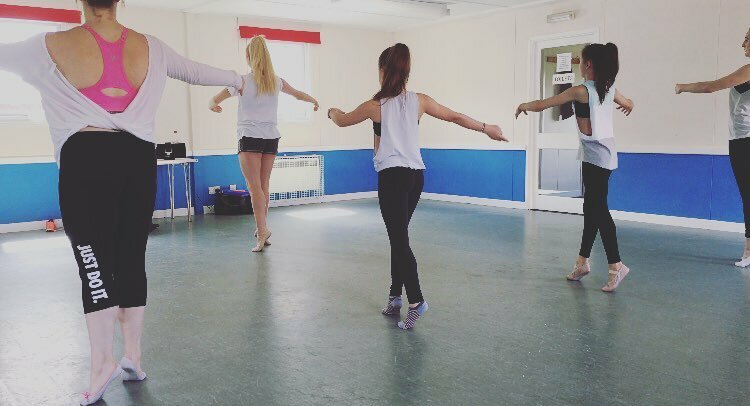 Outside of study, I am a dance teacher (mainly hip hop and cheerleading) and work in a local bar in order to save funds for my placements and travel abroad. 3 years ago I made the decision to go into employment and worked between Ipswich and London offices as an insurance broker. When I realised this was not the career for me, I decided to pursue my love for Languages and education and returned to university. The opportunities that I have been given this summer have made me realise this is the best decision I could have made. The opportunity to study in Germany this summer is extremely important to me as it will help me to fulfill my future career prospects l, as well as enhance my cultural understanding of new countries. 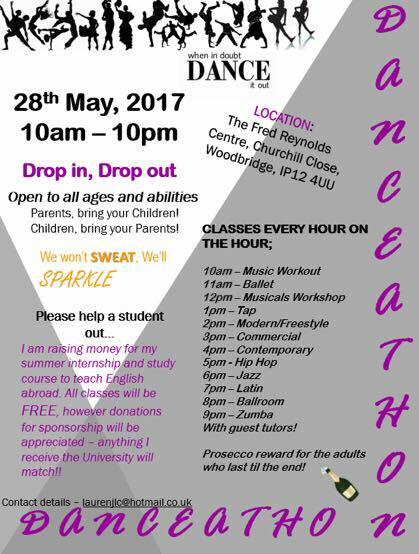 In order to raise money for my project I have already held a 12 hour danceathon near Ipswich on 28th May 2017 for which I had great support and raised over half towards my target. 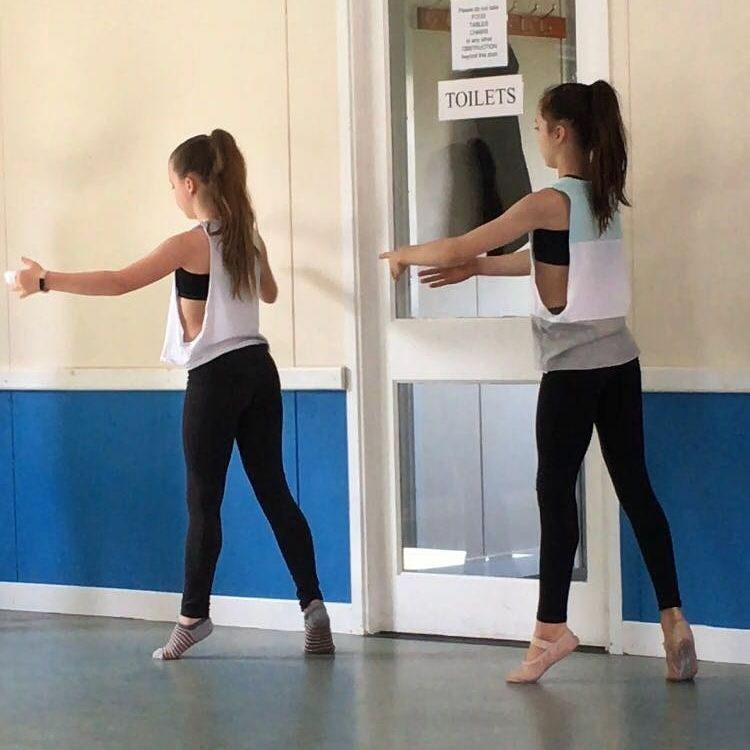 Photos of the Danceathon are below. Any additional money would go towards personal expenses during the course period. A donation small or big, will be greatly appreciated! Thank you! I will be including rewards for those that donate certain amounts, more details to be found on the rewards page. I will be extremely grateful for any donation, and the main reward will be knowing that all the money will be going on exactly as detailed. I will continue to post updates of the study course and any more fun education things that I do throughout August, as well as confirming and posting my certificate of completion at the end of the course. Please spread the word and help a student out!! A social high five - a shout out to your help on my Facebook page!! A social shout out so everyone knows how wonderful you are, along with a video shout out live from Germany! A postcard and some kind of beautiful souvenir, with my never ending gratitude! For your wonderful donation I will be sending you a personalised gift from Konstanz, Germany specially picked by me!